The convicted killer, whose crimes made headlines around the world, has joined a matchmaking website for inmates. Luka Rocco Magnotta, the convicted killer whose grisly crimes made headlines around the world, is looking for a "prince charming" on a matchmaking website for prisoners. Magnotta's profile was posted Sunday on Canadian Inmates Connect Inc., a website that tries to hook up lonesome convicts — some behind bars for violent offences like first-degree murder — with potential companions on the outside. "Seeking single white male, 28–38 years of age, white and in shape," reads a blurb the website's founder says was written by Magnotta himself. "One who is loyal, preferably educated, financially and emotionally stable for a long-term committed relationship. If you think you could be my prince charming, send me a detailed letter with at least two photos." The profile features two photos of the former stripper and prostitute, who was convicted in December of first-degree murder for the 2012 Montreal killing and dismemberment of university student Jun Lin. In both images, Magnotta is wearing an unbuttoned white dress shirt. Magnotta, who's serving a life sentence, lists his expected release date as 2037. He describes himself as a "single white male, 33, 5'11" and 175 lbs with dark hair and blue eyes." "Only those I deem compatible will receive a response," he writes on the profile, which also includes his current postal address north of Montreal: Archambault Institution, in Ste-Anne-des-Plaines, Que. "Serious inquiries only please. All unsolicited mail will be discarded." Melissa Fazzina, who created the site about four and half years ago, said Magnotta sent the information to her through a contact. The application and $35 fee arrived via regular mail — convicts don't have internet access — about 10 days ago. "I was taken aback," Fazzina said of seeing Magnotta's name on the application. She said she was surprised, because media reports have suggested Magnotta receives lots of fan mail. A spokesman for Public Safety Minister Steven Blaney called the website "outrageous and offensive to victims of crime." Blaney has asked that Correctional Service Canada "explore all options to ensure that dangerous violent criminals and sexual predators are not able to further exploit individuals," Jeremy Laurin said Monday night in an email. "The operator of this website should seriously reconsider the platform she is giving to convicted criminals." 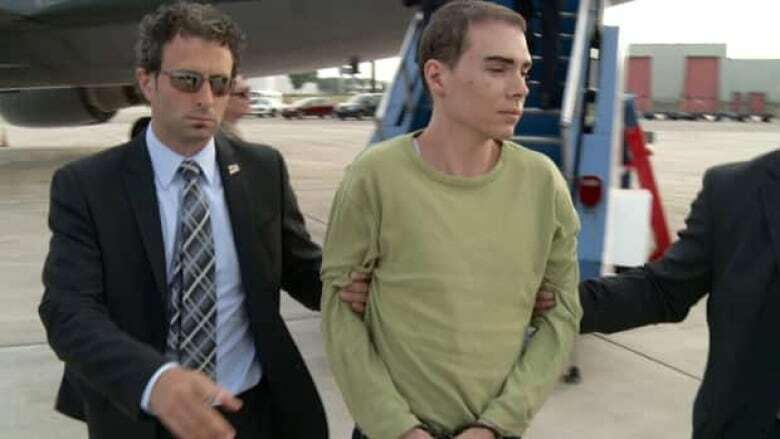 Magnotta's crimes included filming some of Lin's dismemberment, posting the video online and mailing body parts to the Ottawa offices of the federal Conservatives and Liberals, as well as to schools in British Columbia. Magnotta also fled to Europe, a journey that triggered an intercontinental manhunt that ended with his arrest in a Berlin cafe. Fazzina said she suspects life has been much quieter for him since he was locked up in federal prison last winter. She said she was told Magnotta, who has a reputation as an attention-seeker, is not looking for publicity. "Maybe he just is finally looking for a long-term, committed partner." Fazzina, whose site has made her a public advocate for prisoners looking for a second chance, is bracing for a backlash against her decision to accept Magnotta's application. "A lot of people will think that he doesn't deserve to be on the website or have access to communication with the outside world," she said, acknowledging his presence on the site could hurt Lin's loved ones. "But I still hold the same stance where I believe everybody is equally able to redeem themselves and rehabilitate themselves and hopefully that will happen with him as well." Fazzina said she's asked that Magnotta send her more info to beef up his profile, including why he joined the website, how he's faring in prison and to explain why he's in prison. Unlike many of her clients, Magnotta's ad doesn't mention his specific conviction. Some decline to enter that information, she said — an approach she doesn't recommend if they truly want to find love because it looks like they're hiding something. "People can still Google the information anyway, right?" said Fazzina, whose site has grown to about 100 profiles from just a dozen or so when it first launched. Despite that success, the site generates just enough money to cover costs, Fazzina said. But it seems to work — she said a number of inmates, which include women and some U.S. prisoners, have apparently found what they were looking for. The site includes ads for people incarcerated for everything from murder to attempted murder to sexual assault — and Fazzina recommends users proceed with caution when interacting with any of the convicts, including Magnotta. "As with any inmate, anybody going on to the website, you know what you're getting yourself into," Fazzina said. "Whatever relationship develops, whatever good or bad comes out of it — I'm not responsible for it. I'm just the middle person."